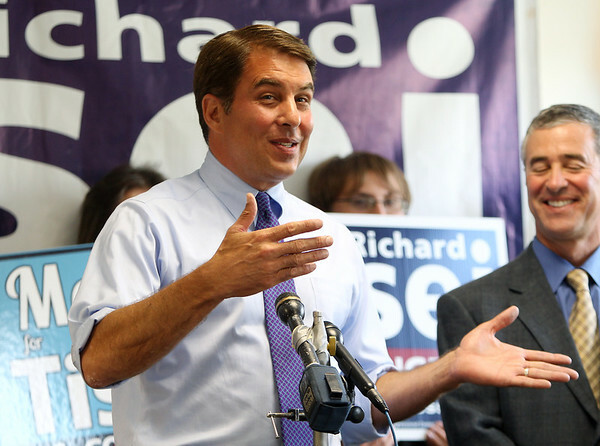 Republican congressional candidate Richard Tisei smiles while speaking to the media after his uncontested primary win and about his upcoming face-off with Democratic congressional candidate Seth Moulton, who pulled off an upset victory over incumbent John Tierney in the primaries on Tuesday evening. DAVID LE/Staff photo. 9/10/14.